First, saute a clove of garlic and ginger in olive oil for just a few seconds. 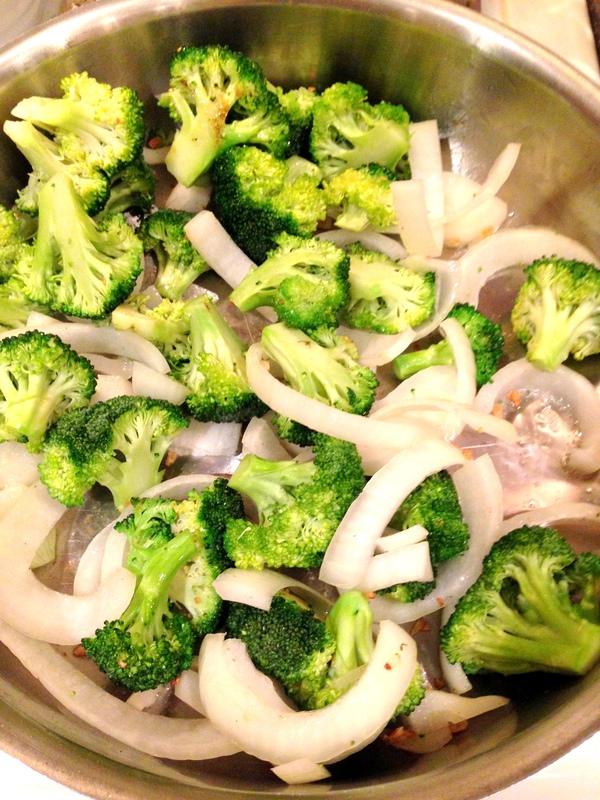 Add your broccoli and sliced onion and cook for 3 to 5 minutes. Meanwhile, boil water and cook your spaghetti according to the box directions. 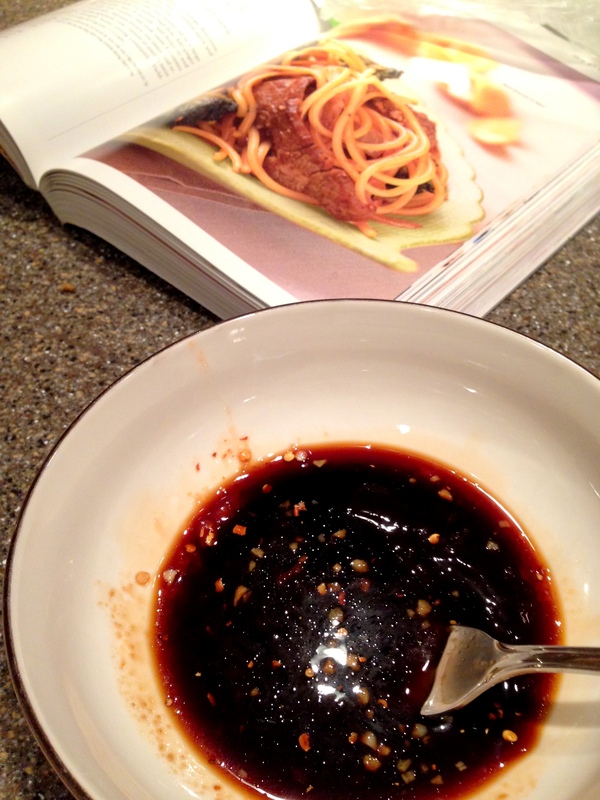 While that cooks, whisk together your sauce – soy sauce, brown sugar, oyster sauce, and chili paste with garlic. 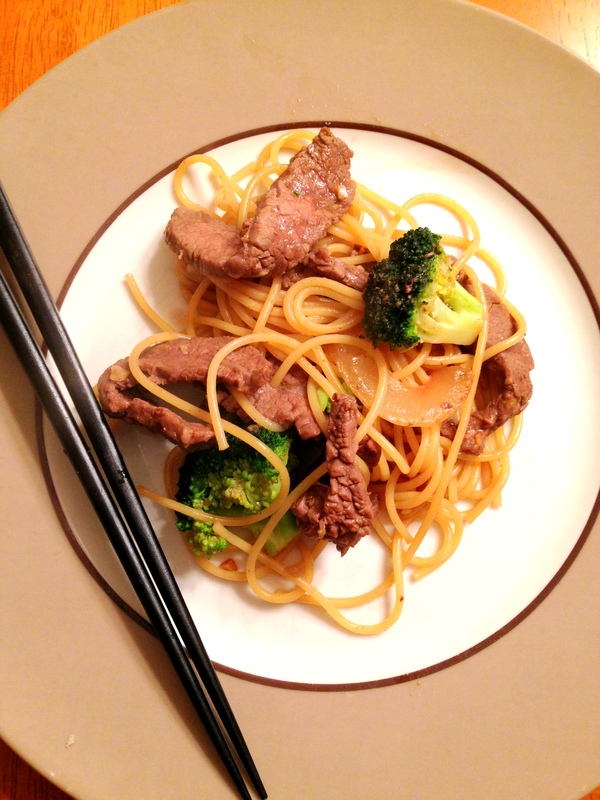 Stir beef into the broccoli and onion mixture. 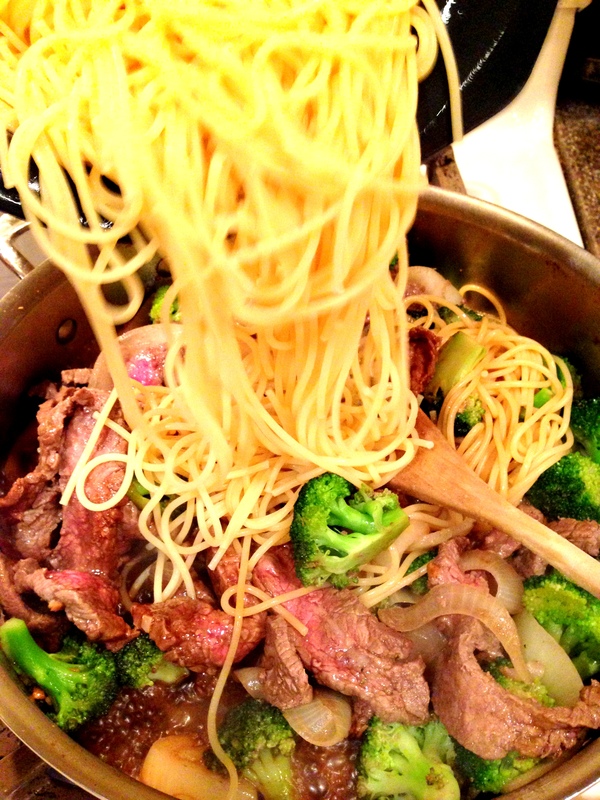 When the beef is just about cooked add the sauce, spaghetti, and stir. Cook for just a couple minutes until sauce us heated through. 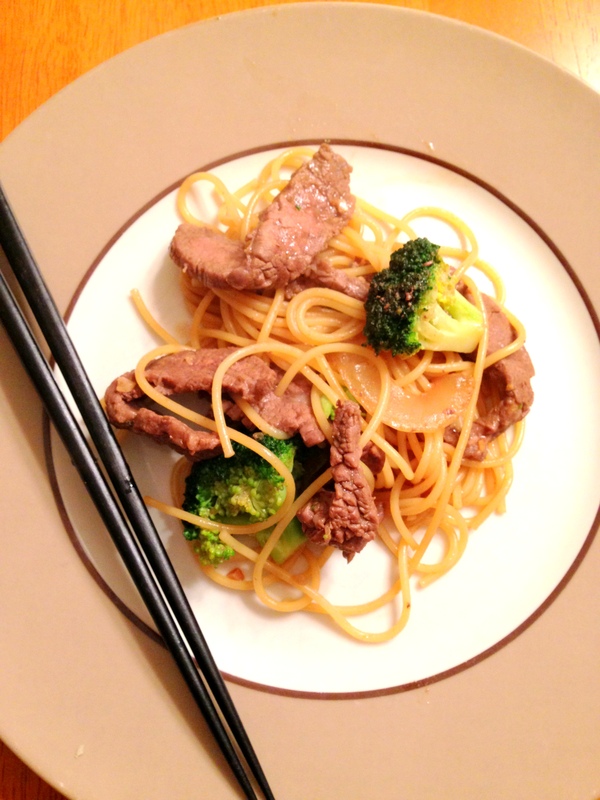 This really curbs the Chinese food craving and not only is it “not bad” for you, it’s from Cooking Light so it’s low calorie! For a 1 1/3C it’s only about 330 calories. Eat up and enjoy! And ps. 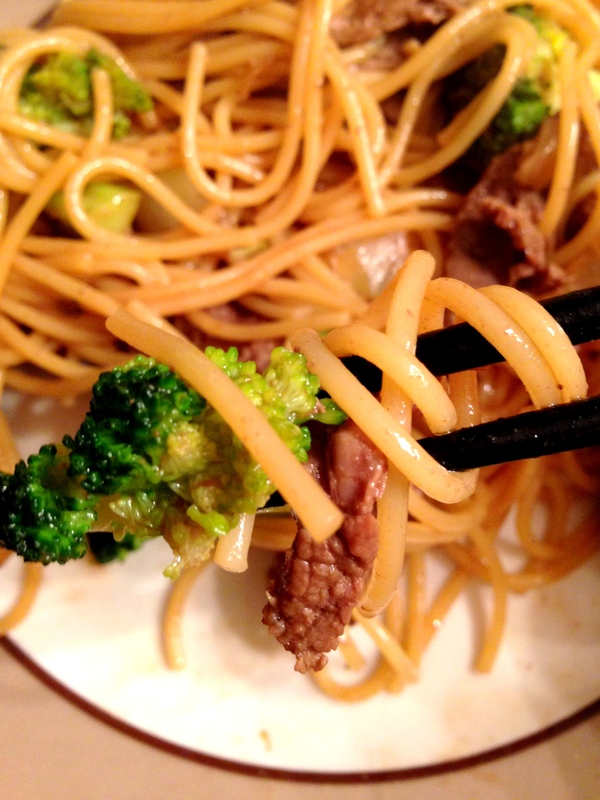 we’re not usually into leftovers in our house, but just like take-out Chinese, this lo mein is delish the next day for lunch.